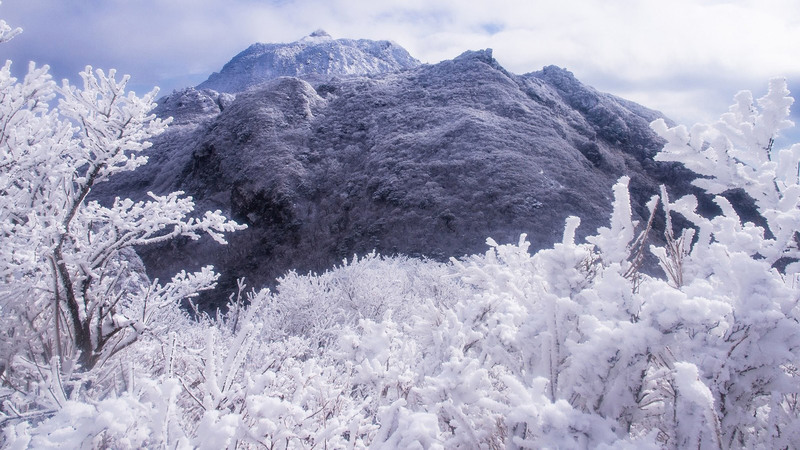 Around Mount Unzen and Mount myoken, you can see a mysterious scene only in the special condition. When the temperature drops under 0 degree and the water in the air such as cloud and fog are blown to the branches, it becames a snow crystal and it appears as "hoarfrost". To see that mysterious scene, a lot of people visit ther every year.